You know you’ve had an outstanding meal when you’re still fantasising about it a full week later. 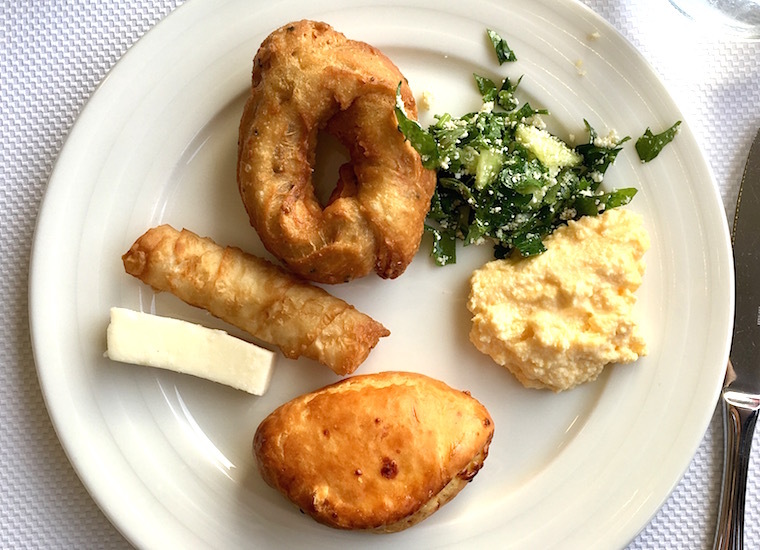 And not only am I still thinking about the breakfast buffet at Istanbul’s Akdeniz Hatay Sofrasi, but it’s possible I’m still digesting it. Because every Saturday and Sunday, this restaurant trots out something like 100 dishes ranging from grains, salads and soups, to fluffy breads and honeyed desserts. And who doesn’t love a challenge? I came across this restaurant after trying to find more information on Istanbul’s Little Urfa, a foodie enclave made up of a block or so of eateries run by settlers from Sanliurfa, a Turkish province bordering Syria. 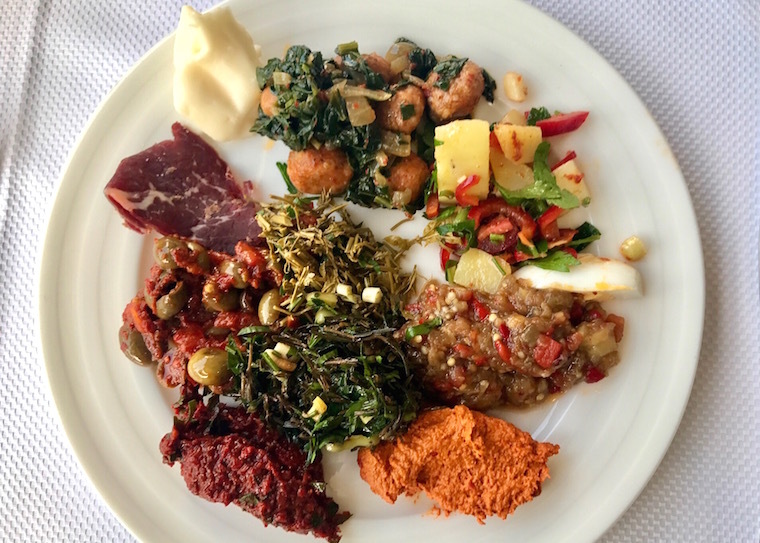 As soon as I read about Akdeniz Hatay Sofrasi I knew it had everything I was looking for: Turkish/Syrian flavours, stellar reviews, interesting dishes and – most importantly – a BUFFET so I could try as many different dishes as possible. The restaurant takes its name from the Hatay province, an area that was actually part of Syria until it came under Turkish rule in 1939. 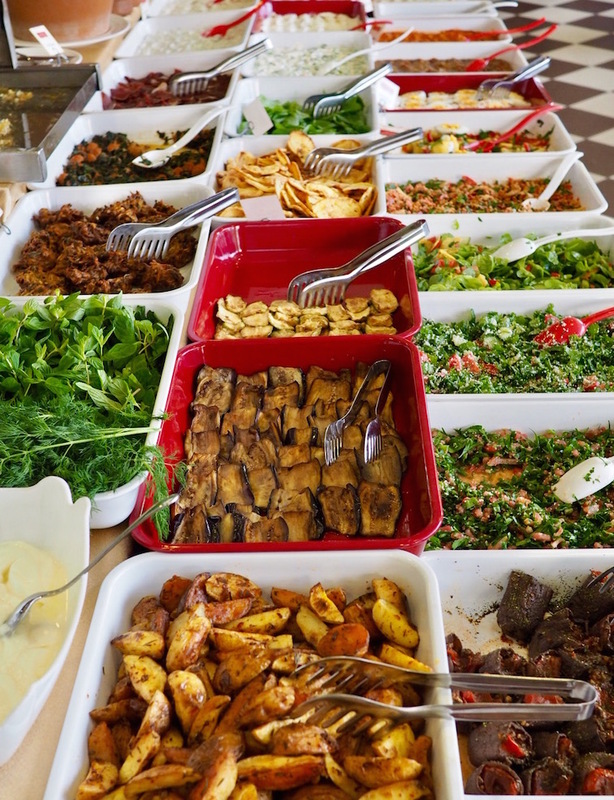 It celebrates the ‘forgotten flavours’ of Hatay – the result of Turkish and Arabic influences merging and evolving to produce some truly excellent food. I’m ashamed to admit it, but I got so excited about trying everything that I forgot to capture my first plate of food on camera – whoops! The photo above is of Lewis’ plate. We had some of the same dishes – the succulent, slightly sweet cured meat, the tangle of soft, garlicky herbs and the charred aubergine puree all made it onto my side of the table too. But where my plate differed is that half of mine seemed to be made up of cheese. Yes, I know I should have left room to try other things, but who can resist trying 12 different types of cheeses? Not me, clearly. That said, I couldn’t really tell the difference between most of them – they were all a pale yellow-white and offering various states of rubberiness. But each made a nice creamy addition the mouthfuls of couscous dishes, tangy salads and grilled vegetables I scooped up from my plate. I also accidentally picked up a baked fig stuffed with tomato and herb rice. Now, I usually have strong opinions about mixing fruit with savoury food – namely, that it’s wrong and unnecessary and gross – but I was in luck on this occasion as the sweetness here was really subtle, and not fruity at all. Unfortunately, I was getting full already (I blame the cheese) which is why, with hindsight, it was not the best idea to choose such heavy bread products for my second helping of food. And yet… that doughnut-shaped object was one of the stand-out items of the day. The dense and springy dough had a warming cardamom flavour to it, and I think it might have been brushed with oil, or maybe fried because it had a juicy crunch when you bit into it. It was so tasty and filling that I could easily imagine eating one of these for breakfast every morning with a cup of tea or coffee. On top of that, I had something similar to a savoury scone, a sigara boregi (that cigar-shaped pastry stuffed with cheese) – and for reasons I can’t fathom – another random piece of cheese. Feeling embarrassed at the beige-ness of the plate of food I’d chosen, I added a pity salad (also topped with cheese). And that yellow blob? It’s scrambled egg mixed with salted yoghurt – a surprisingly delicious combination. And believe it or not, that also tasted like cheese. It’s simple biological fact that everyone has a pudding stomach – a separate stomach that makes room for afters (perhaps elbowing the liver out of the way, or shooing off a kidney) even when you’re absolutely fit to burst. And, sweet baby cheeses, I certainly tested mine during my final, gluttonous visit to the Buffet of Wonders™. 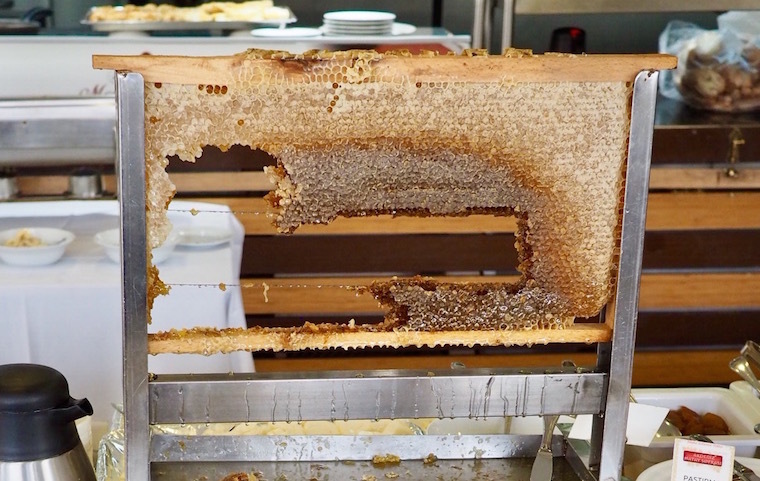 My favourite of all the sweet treats was the kaymak (similar to rich clotted cream), eaten with honey I cut from a sheet of honeycomb with my own fair hands. 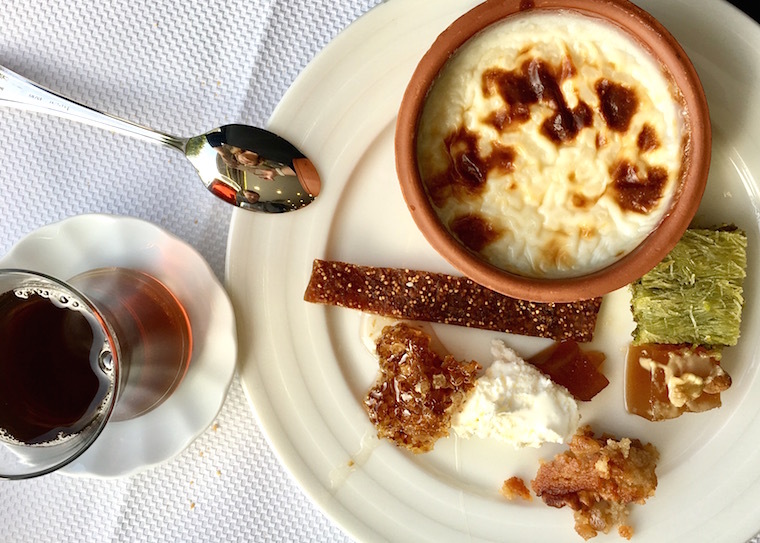 We’ve had kaymak and honey before, but there was something really satisfying about carving off that chunk of honeycomb that made it taste even more delicious. But back to the plate: That clay pot is sutlac, a Turkish rice pudding made with milk, rice and a hint of cinnamon. I’ve only had rice pudding when it’s hot, so it was interesting to try a chilled version – I found it just as creamy and comforting. Like kaymak, you can find sutlac all over the city, but this was the first time I had tried it – I’m definitely a fan. The rest of the desserts were delightful little mouthfuls of sugar – pistachio baklava topped with syrup-soaked phyllo shreds called kadayif, a firm gelatinous substance topped with a walnut and creamy sauce, and a syrupy sponge cake. The only item I didn’t like was the strip of dried fig – it tasted quite sour compared to the other desserts, so a small bite was enough. And that was us done. Three platefuls of food, plus regular top ups of water and çay, meant we were feeling both obscenely happy and distinctly weebly by the time we left. The funny thing is that the breakfast isn’t even what Akdeniz Hatay Sofrasi is known for – its signature dish is a whole chicken or joint of lamb baked in a salt crust, which is then set on fire at your table and cracked through with a mallet. 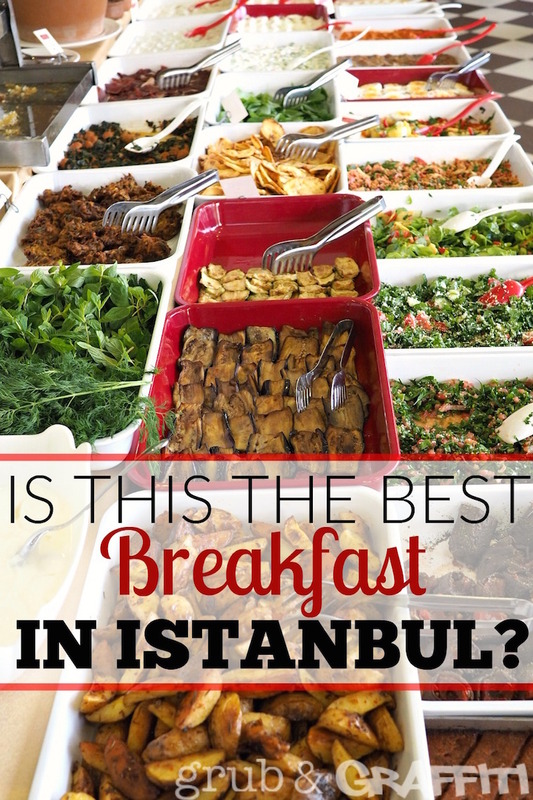 That one is definitely on the list for our next visit to Istanbul, but I really want another go at that buffet, too. Next time, I’m turning up with a strategy, an appetite, and an elasticated waistband. I suggest you do the same. Akdeniz Hatay Sofrasi is on Ahmediye Caddesi and is easily reachable on the T1 tram line. 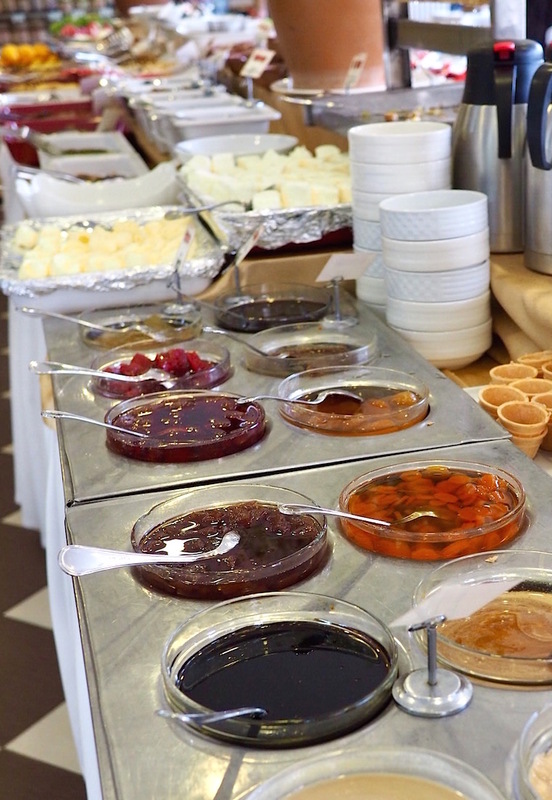 The breakfast buffet is only available on weekends and costs 42TL pp at the time of writing. If you want to try the salt-crust dish you’ll need to order it the day before – the staff speak English so you can either call them or use the reservation facility on the website.